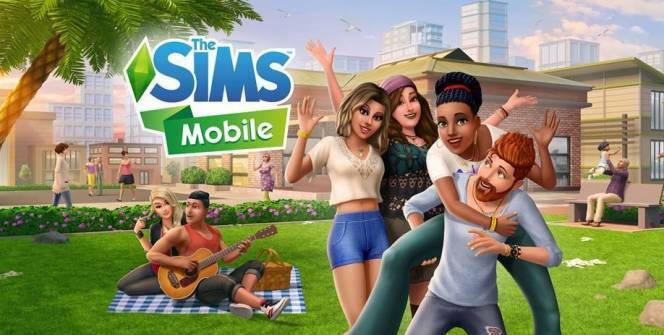 Whether you grew up playing The Sims or simply like the idea of playing a life simulation game, which will let you live out your dream life, you may be interested in playing the Sims Mobile for PC. When you first boot up The Sims Mobile, you’ll get to design a virtual sim from scratch and will get to fine tune your sim’s face as well as their face, their physique and their clothing. Once you’ve created a sim which you’re happy with, your created sim will move into their home, which you’ll get to upgrade as your sim earns money and progresses in their chosen career. Once you’ve completed a short basic tutorial, your sim will be able to explore various public areas, attend parties, make new friends, date, get married and have children. Each time your sim levels up by completing actions and fulfilling goals, you’ll unlock more hairstyles, accessories and clothing options. So your sim will never be stuck wearing the same outfit two days in a row! If one of your favorite parts of playing The Sims in the past, was getting to play cupid and marrying your sims to their perfect partners, in order to start a family, you’ll love The Sims Mobile. As not only does it allow your sims to tie the knot but your sim will also be able to raise up to 4 children, from infancy to adulthood. 3. Retirement and collectable heirlooms. One of the unique aspects of this version of The Sims is that once you reach level 13, your playable adult sims will start to be given the option to retire. When an adult sim retires they still remain part of your household but become non playable characters. However, each sim who retires in your household, presents your household with a collectable heirloom which will unlock new options in your game. 4. A wide variety of career paths. Examples of some of the available career paths include a business career track, a fashion career choice and a medical career option. As you level up, you’ll have the opportunity to unlock new career paths in different areas of the city, using coins which you earn by leveling up your sims’ hobbies and working shifts. 5. 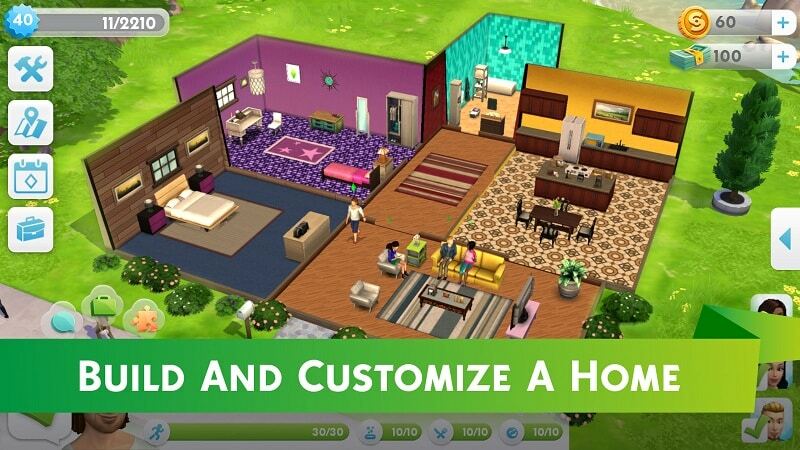 Endless options to upgrade your sims’ home. Like the original version of the game, you’ll be able to build new rooms and customize the interior and exterior of your sims’ house. As you level up, you’ll continuously unlock new items for your sims’ property. Examples of which include better quality beds and sofas as well as decorative items such as flowers, art work and musical instruments such as guitars. So whether you’re a massive fan of life simulation games and are looking to play a life simulation game which boasts plenty of replay value, you can’t go wrong downloading EA‘s The Sims Mobile and creating a personalized sim. You can even choose to design a sim who is your doppleganger! Sometimes when playing The Sims Mobile, bluestacks ask you fee to pay but gives you option to download some apps. Every time it asks you just select “Install apps” and continue using it free. I hope you enjoyed this article, please rate and share. If you have problems running The Sims Mobile on your desktop or any other issues, leave a comment below.